RSVP tax aides gathered recently for training to assist Oswego County residents with 2010 income tax counseling and preparation. They are, from left, John Lyons, Gary Roy, Bruce Manwaring, Nancy Perticone, Allan Mosier, Jean Kellar and John Smith. SUNY Oswego will begin providing its free annual income tax preparation and counseling services Jan. 29 for residents of Oswego County. The college’s School of Business, through its student-staffed Volunteer Income Tax Assistance program, will offer the service weekly at three sites in Oswego and Fulton, Jan. 29 through April 9. The Retired Senior Volunteers Program, a unit of SUNY Oswego’s Office of Business and Community Relations, will staff sites in the cities of Oswego and Fulton and by appointment in the villages of Constantia and Phoenix, on a schedule ranging from Feb. 1 through April 15. School of Business preparers: 4:30 to 7:30 p.m. Tuesdays, except March 15, at the Workforce Development Building in Fulton, across from Mimi’s Restaurant on State Route 481; 4:30 to 7 p.m. Thursdays, except March 17, at Hamilton Homes, 96 Hamilton St., Oswego; and noon to 5 p.m. Saturdays, except March 12 and 19, at Oswego Public Library, 120 E. Second St.
RSVP preparers: 11 a.m. to 3 p.m. Tuesdays, Feb. 1 to April 12, at the McCrobie Building, 41 Lake St., Oswego; 9 a.m. to noon and 6 to 8 p.m. Wednesdays, Feb. 2 to April 13, at the Municipal Building, 141 S. First St., Fulton; 9:30 a.m. to 1:30 p.m. by appointment, 623-9803, on Tuesdays, Wednesdays and Thursdays, starting Feb. 3 and running to April 14, at St. Bernadette’s Church on Route 49; and weekdays by appointment — 695-2553, 458-1465 or 934-4333 — Feb. 1 to April 15 at Phoenix Public Library, 34 Elm St.
Taxpayers should have with them last year’s completed tax forms, W-2s, 1099s, unemployment compensation statements, all forms indicating federal income tax paid (for example, estimated payments), dependent care provider information — including name, employer, provider identification or Social Security number — all receipts or canceled checks for itemized deductions and a Social Security or individual identification card for the taxpayer, spouse and dependents. 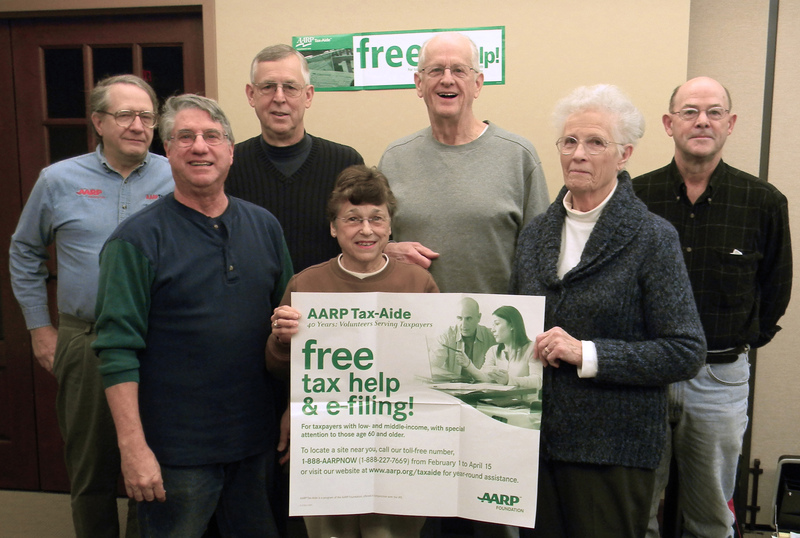 RSVP supervises its program in cooperation with the AARP, the IRS and the state Department of Taxation and Finance. Counseling sessions are available for all, with special attention to those 60 and older. For more information on this and other RSVP programs, or to receive its Mature Living newsletter, call 312-2317. RSVP, 103 Rich Hall, is a federal initiative of the corporation for National and Community Service and is sponsored locally by SUNY Oswego and the United Way.